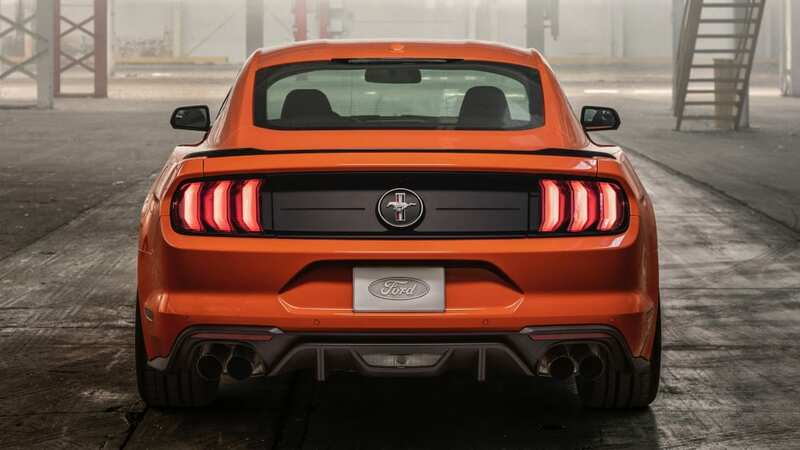 The "entry-level" performance Ford Mustang is here, and it's called (deep breath) the 2020 Ford Mustang EcoBoost High Performance Package. 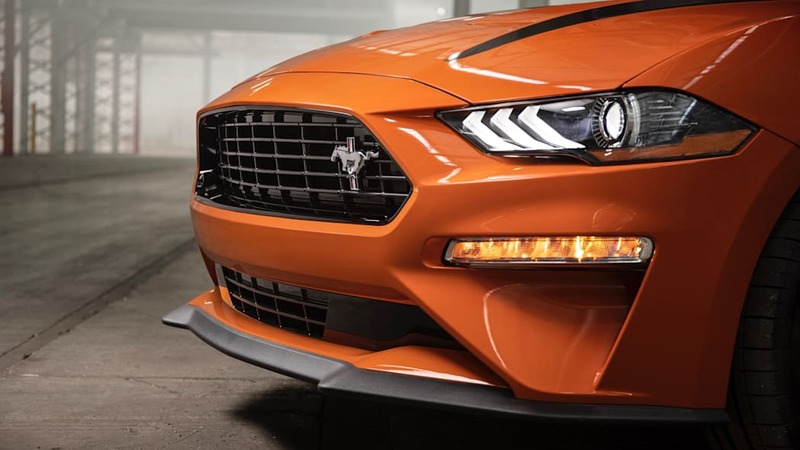 While it doesn't have a particularly elegant name, this hopped-up Mustang EcoBoost has some exciting parts, starting with its Focus RS-sourced engine. 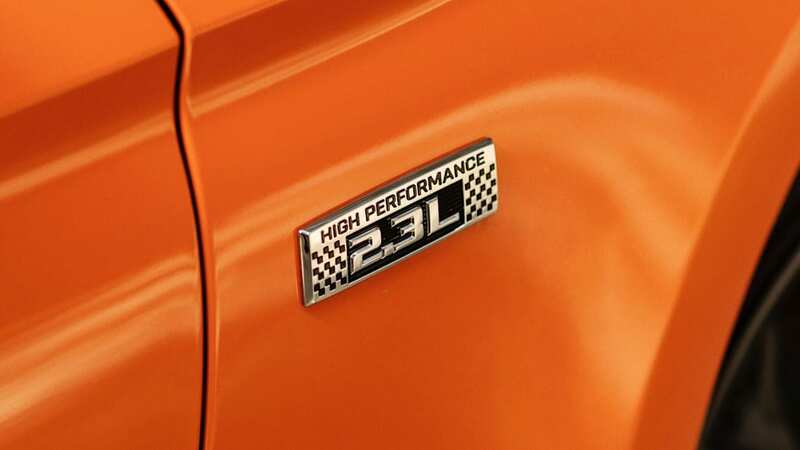 And this really is the Focus RS engine, not just a derivative like the regular EcoBoost. 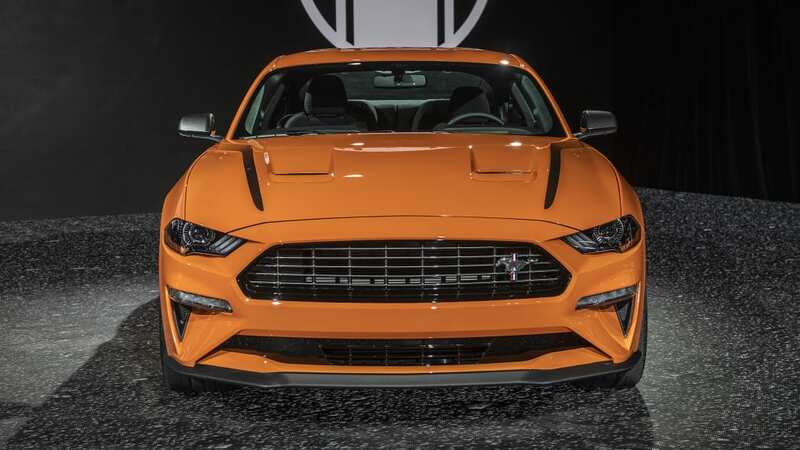 It has the stronger cylinder head and head gasket of Ford's outgoing hot hatch, and, just like with the Focus RS, the engine is built at the Valencia, Spain, factory before coming to Flat Rock to go into a Mustang. 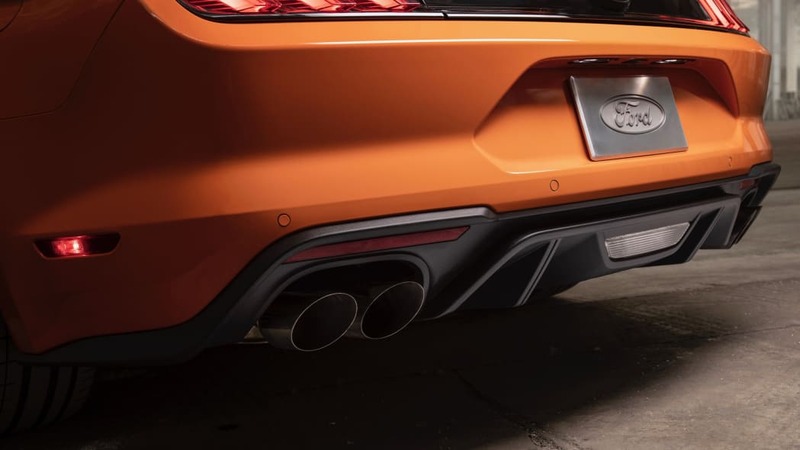 As for the bits bolted to the engine, there are a few changes in piping and intercooler design due to the new engine arrangement. 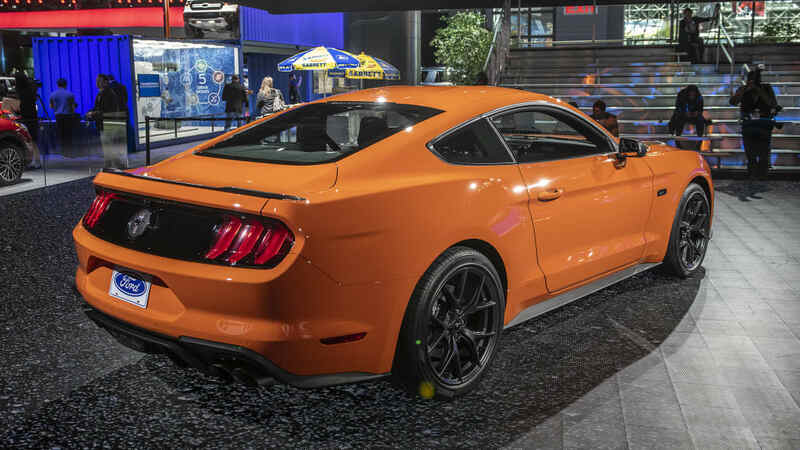 The turbocharger has been redesigned, too, and is unique to this Mustang variant. 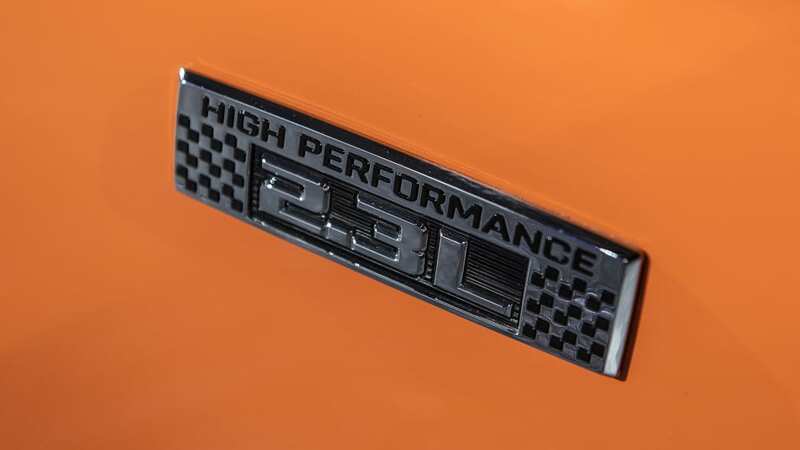 The results are 330 horsepower and 350 pound-feet of torque. 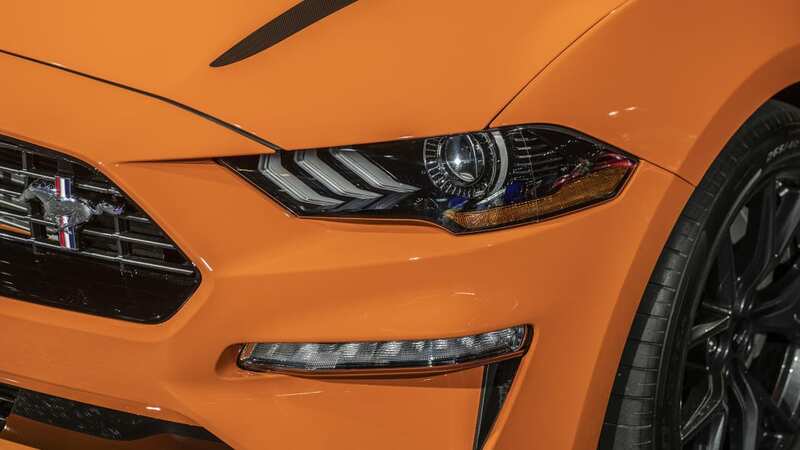 That is indeed a bit less than the Focus RS, but Ford says that this engine setup will provide a wider powerband with better low- and high-end power and torque. 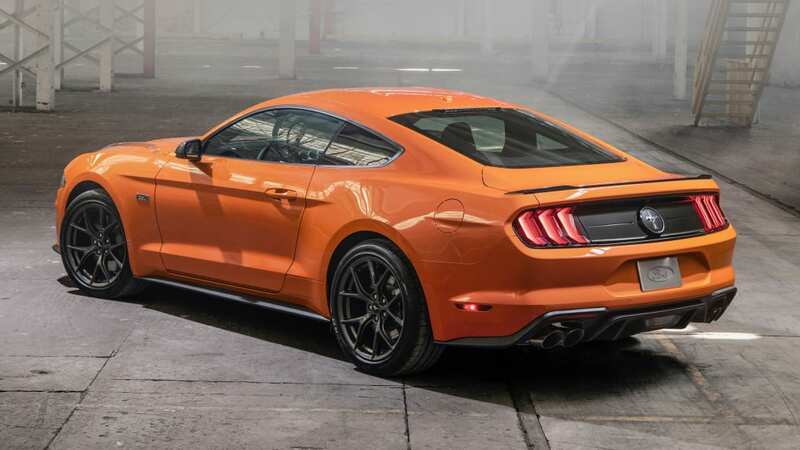 Ford also claims the automatic-equipped version will hit 60 mph in just 4.5 seconds. 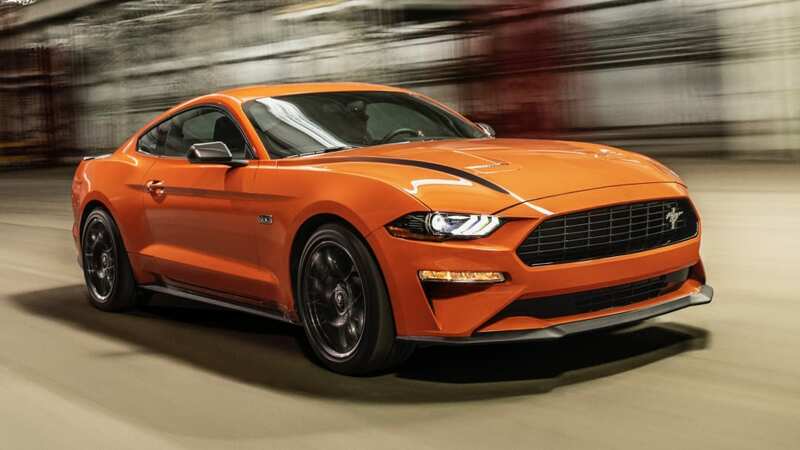 Since this is a beefier engine, we're hoping the aftermarket will be able to extract even more power out of it than it could with the regular Mustang EcoBoost engine. 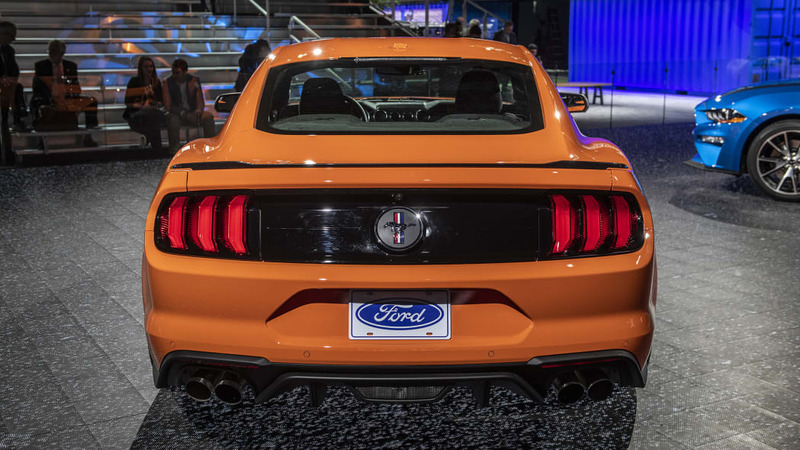 The engine sounds particularly mean, too, now that the active exhaust is a standard feature. 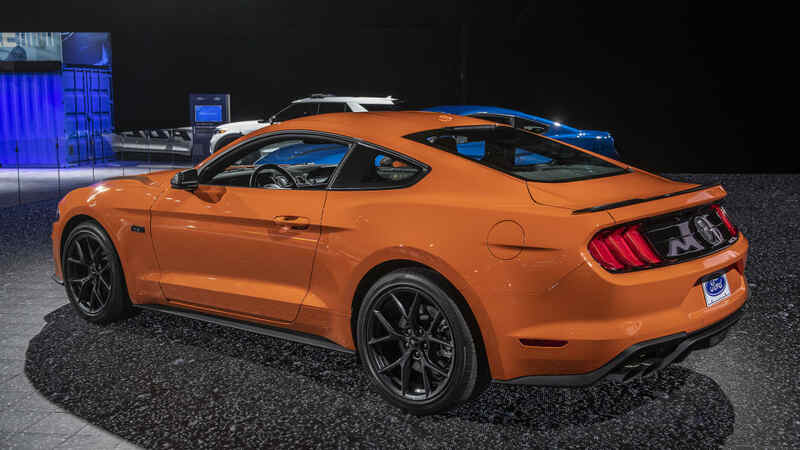 We've heard it, and it makes some wild crackles and bangs. 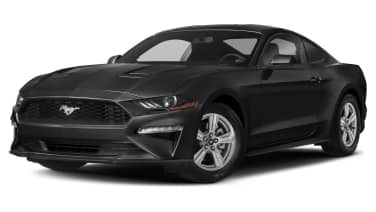 The new engine is naturally accompanied by other upgrades, many of which match the current Performance Package for the 2019 Mustang EcoBoost. 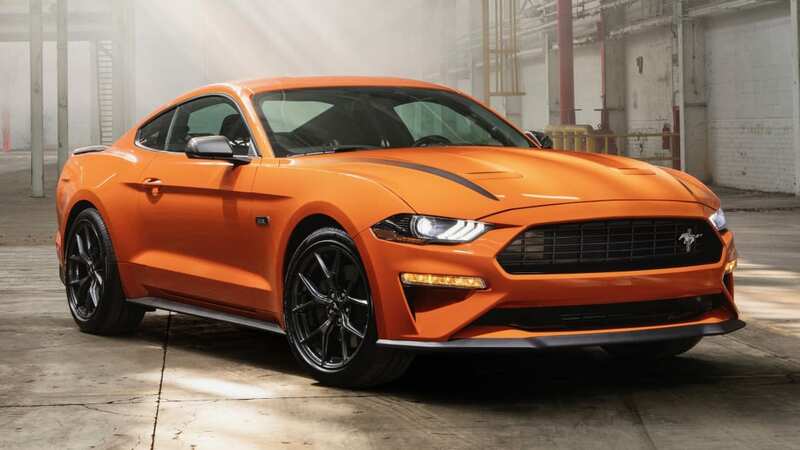 They include the 3.55 ratio limited-slip rear differential, 255-mm performance tires, a shock tower brace, Mustang GT brakes with front four-piston calipers, and unique tuning for the suspension and driver aids such as stability control. 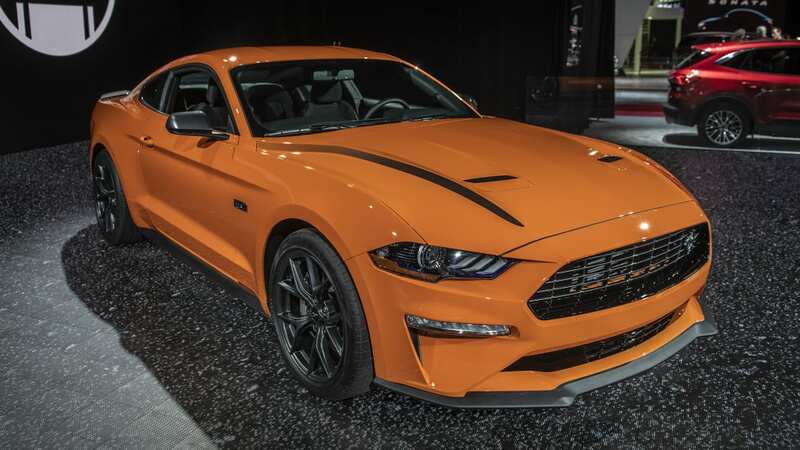 The car is also now electronically limited to 155 mph and gets ducting from the Mustang GT to improve brake cooling. 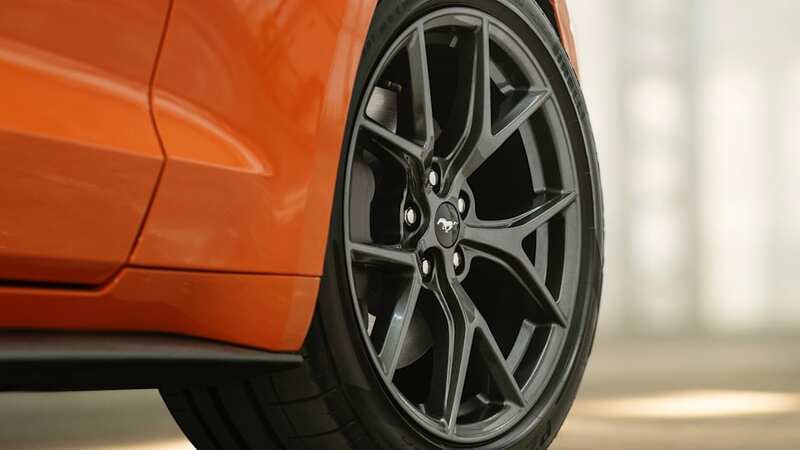 There will be a Handling Package that can be added to the High-Performance Package that will bring 265-mm wide tires, magnetic suspension, stiffer springs, and even thicker anti-roll bars. 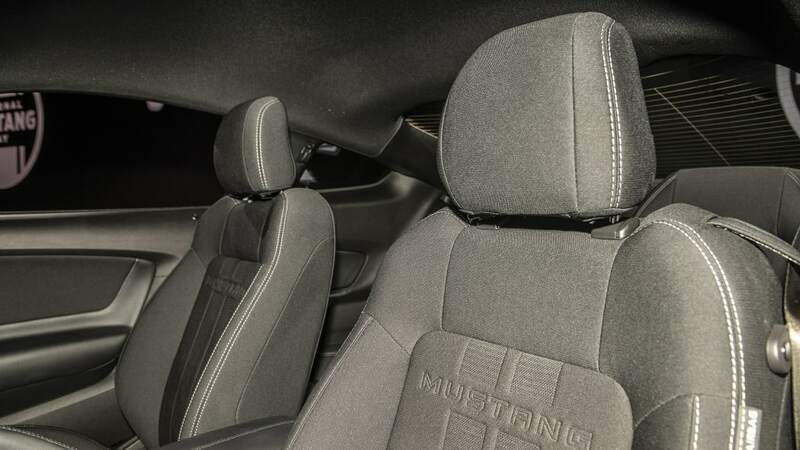 Visually, the High Performance Package Mustang is subtle but distinct. 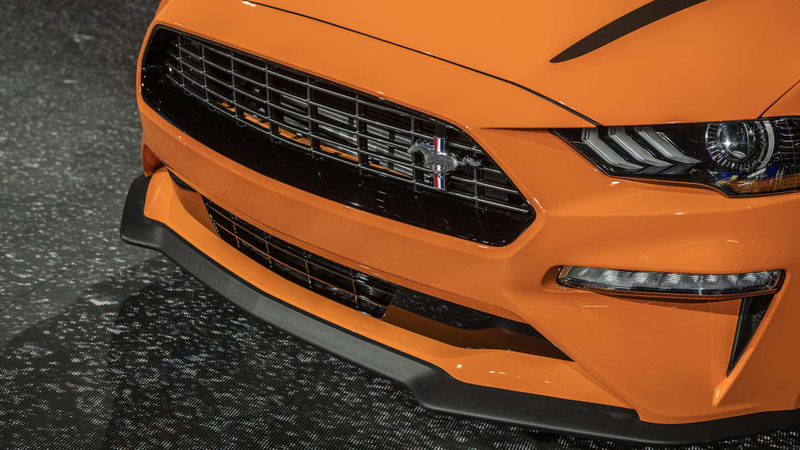 Up front is the lip spoiler from the GT Performance Package 1 along with unique dark metallic gray grilles with a side-mounted pony badge. 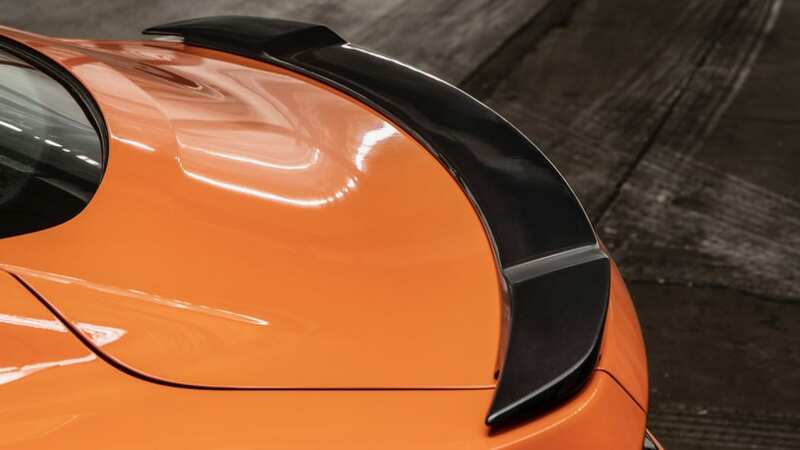 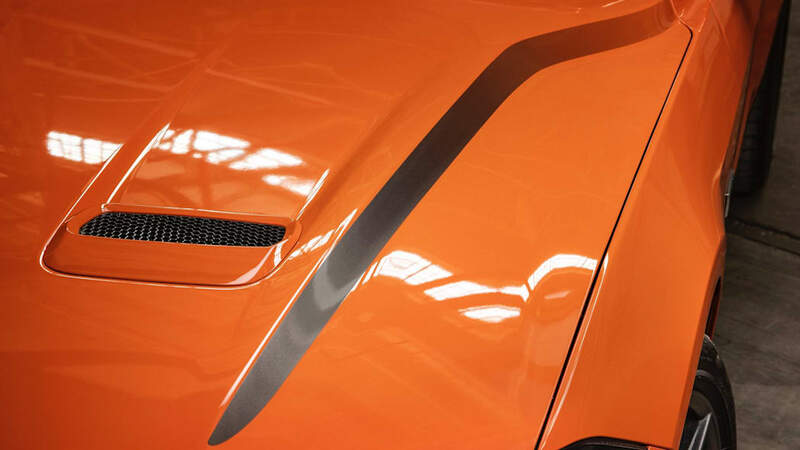 The hood gets a pair of stripes that run along the lip of the hood cowl and fade away toward the back. 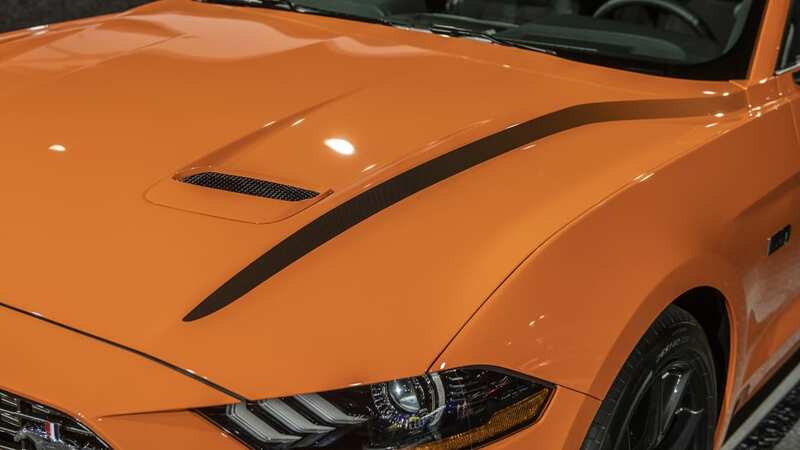 They have the same color as the grilles. 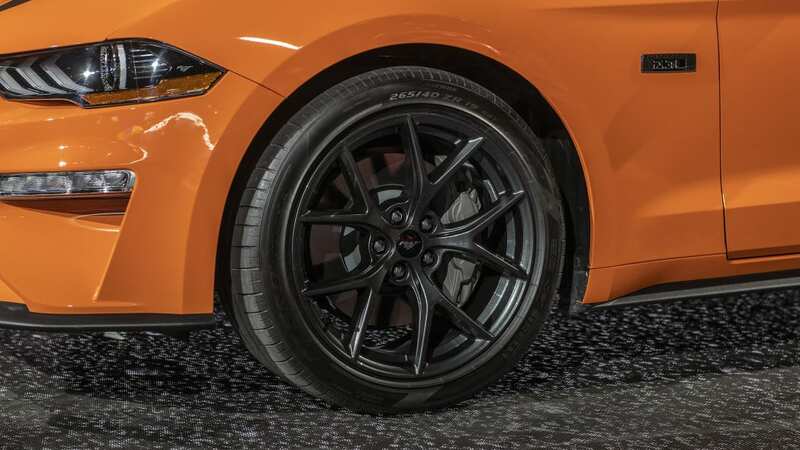 There are also unique wheels and the Mustang GT rear spoiler, once again finished in the same color as the grilles and stripes. 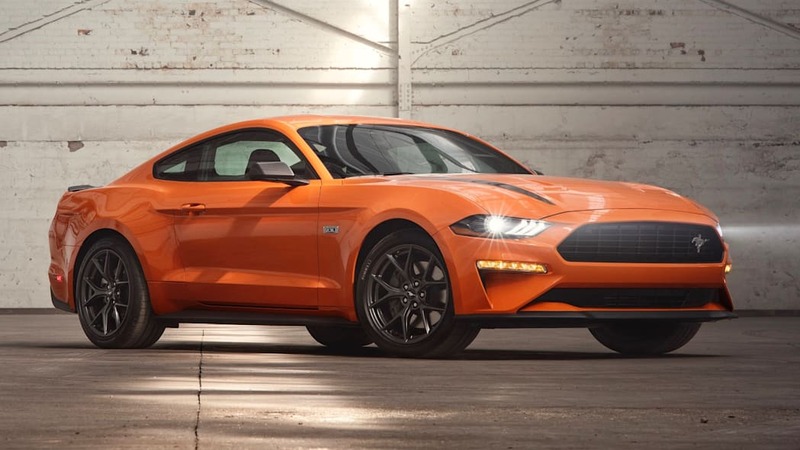 The Mustang EcoBoost High Performance Package goes on sale in early fall. 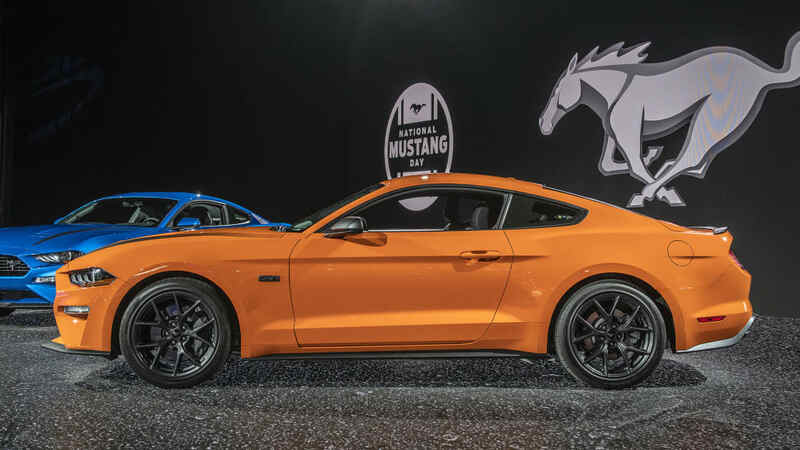 Pricing will be coming by the end of spring. 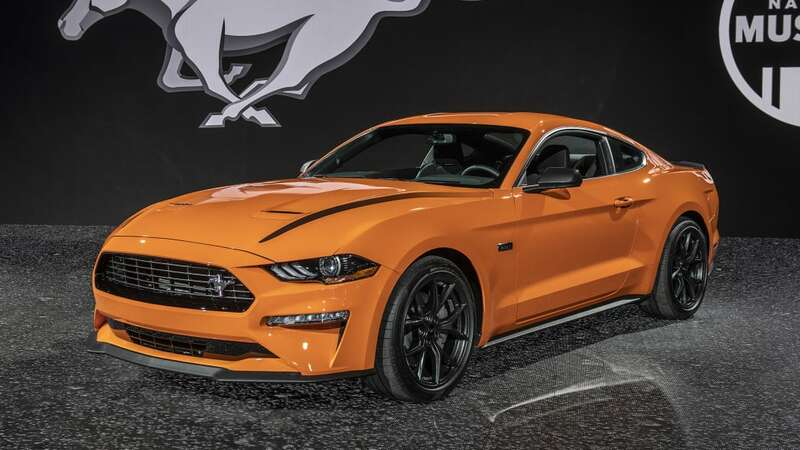 The package will be available on all versions of the Mustang EcoBoost from bare-bones base trim to fully loaded, as well as in coupe, convertible, manual and automatic configurations. 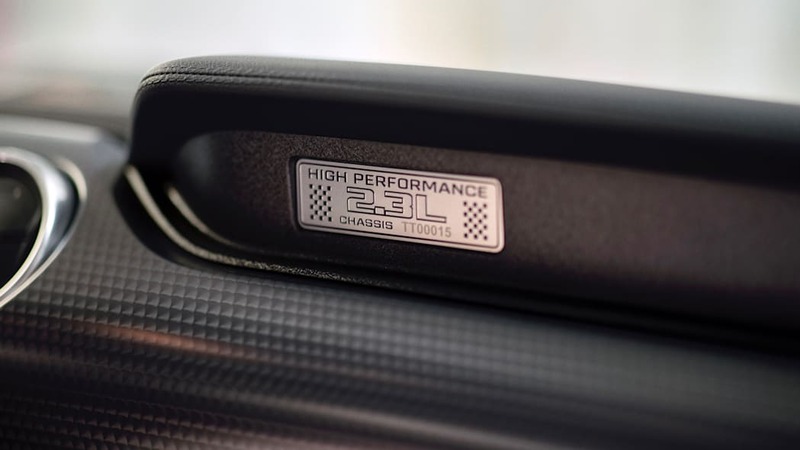 The only restriction is for the Handling Package upgrade, which is only available on the coupe.